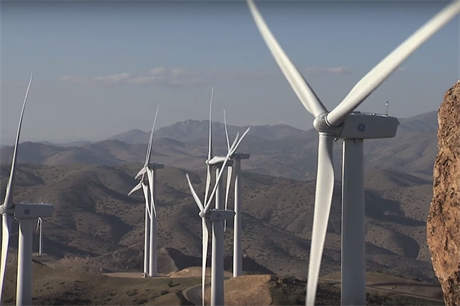 UNITED STATES: Enel Green Power has become the largest wind power developer in Oklahoma with the commissioning of two projects with a total capacity of 598MW. Its 298MW Thunder Ranch and 300MW Red Dirt wind farms are now online, bringing the developer’s operational capacity in the state to 1.73GW across ten sites. Thunder Ranch comprises GE 2.3-116 and 2.5-116 turbines, while Red Dirt has 100 Nordex AW125/3000 machines. The newly commissioned projects means Enel Green Power overtakes NextEra Energy’s Oklahoman capacity of 1.65GW. Enel Green Power had previously secured long-term power purchase agreements (PPAs) for the two newly commissioned projects to secure a revenue stream. It had also sold secondary and tertiary tax equity interests in the projects to secure investment while maintaining control of the wind farms. Anheuser-Busch, the US subsidiary of beer corporation AB InBev, has agreed to buy power from a 152.5MW portion of the Thunder Ranch site. Meanwhile, telecommunications company T-Mobile has agreed to buy power from 160MW of Red Dirt and utility, the Grand River Dam Authority, from the site’s remaining 140MW, which it will then sell to Google. Enel sold all of the ‘Class B’ and ‘Class C’ equity interests in Thunder Ranch to Goldman Sachs and GE Financial Services in October. It also sold all of the ‘Class B’ equity interests in Red Dirt to Mitsubishi and Allianz in August. The equity interest sales enable the investors to earn a percentage of the fiscal benefits of the sites, while Enel retains all of the ‘Class A’ interests as well as control of the projects. Antonio Cammisecra, head of Enel Green Power, said: "This milestone is testament to our continued investment in the US energy market. "We are growing our US footprint through traditional avenues such as organic development and small-scale acquisitions, boosted by more innovative and diversified solutions such as the ‘build, sell and operate’ model and the sale of energy to corporate customers."